Lockheed Martin has finished a 17-year-long project to upgrade the Air Force’s C-5M Super Galaxy at the company’s facility in Marietta, Georgia. Since 2001, Lockheed Martin has been carrying out the mammoth task of upgrading 52 C-5Ms. The last of the upgraded Super Galaxy aircraft took off from the Marietta facility Aug. 2, marking the end of the project. The Air Force’s Reliability Enhancement and Re-engining Program extends the C-5M’s service lifespan into the 2040s. The C-5M has been a part of the Air Force’s fleet since 1970. It is the largest strategic airlifting platform in the Air Force. Fully loaded, the Super Galaxy can fly at a gross weight of 800,000 pounds. Air Mobility Command is pushing for predictive maintenance after issues with older planes. 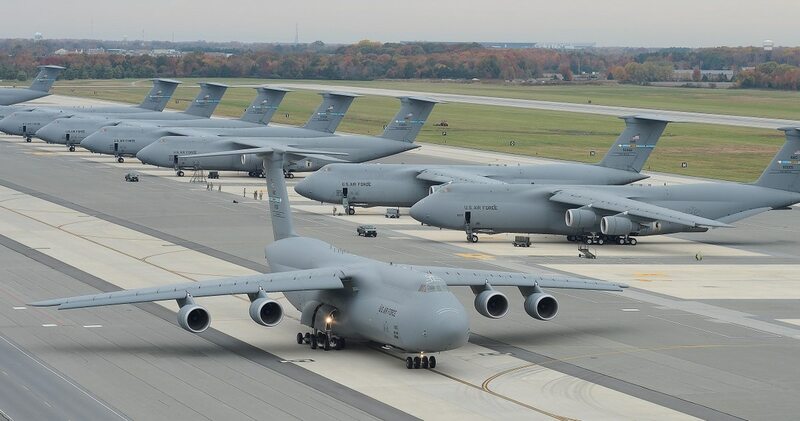 According to Lockheed Martin, the upgraded Super Galaxy now boasts, “a 22 percent increase in thrust, a shorter takeoff roll; a 58 percent improvement in climb rate; [and] allows the C-5M to cruise — at maximum gross weight — in the Communication/Navigation/Surveillance/Air Traffic Management flight environment." The upgrade greatly enhanced fuel efficiency and reduced the demand for tanker support. Neil is a former US Army Captain and served operational deployments in South Korea and Afghanistan. He is currently an Editorial Fellow at the Military Times.